Take back control of your brain! 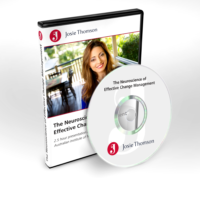 2.5 hour workshop with Josie Thomson & Dr Jeffrey M. Schwartz filmed at the Mind & Its Potential Conference. Sound familiar? Don’t worry, you’re not alone. We all have those moments in life where negative thinking takes over, and when it does, it feels like we’re losing control and we’ve been kicked out of the driver’s seat. We feel powerless because we don’t know how to make a change. What if we told you that you CAN take back the wheel in your life? That you can stop the negative self talk and silence the inner critic, so you can achieve so much more, feel more confident, happy and fulfilled? 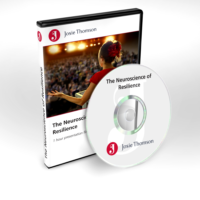 Watch this special presentation where you’ll be introduced to the revolutionary 4 step solution from Dr Schwartz’s international best-seller, ‘You Are Not Your Brain’ and discover what you can do to take control of your brain AND your life! See a sample of what you will get.